We stopped and Chris pointed at a hole in a dune before he started digging. 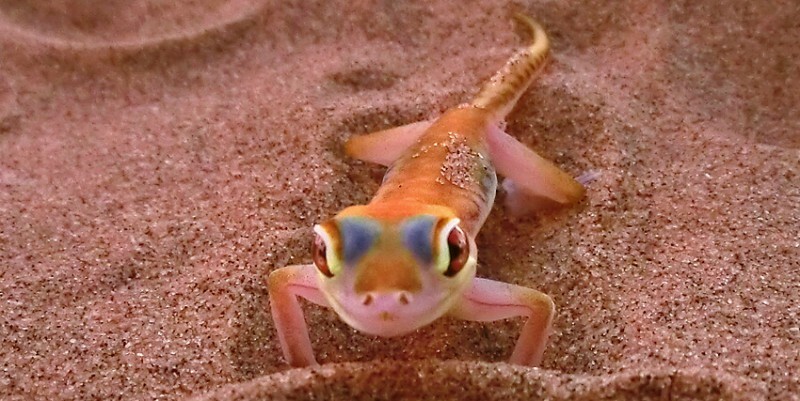 This small and strangely coloured gecko is also called “Web Footed gecko”. These feet are a sort of “snow shoes” but in this case rather “sand shoes”. 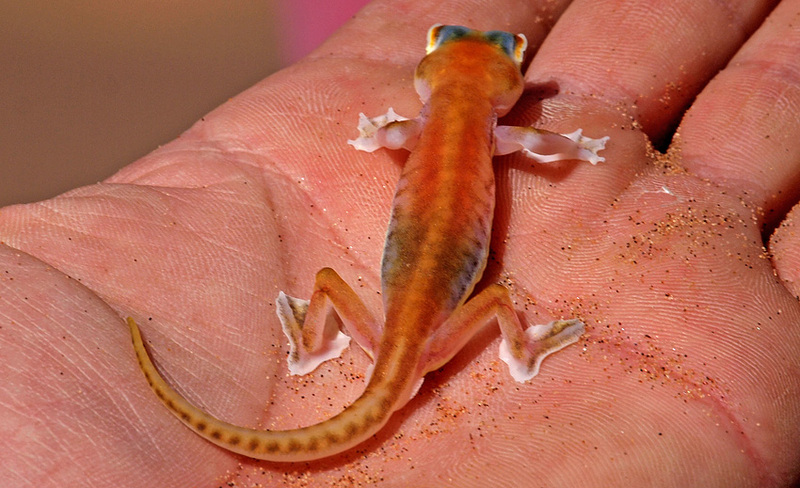 It exists only in the Namib Desert and is night active. Their enormous eyes does not have eyelids. To keep their eyes clean they lick them using a very long tongue. We only saw one but they are supposed to come in a variety of colors and patterns. The skin is almost transparent. 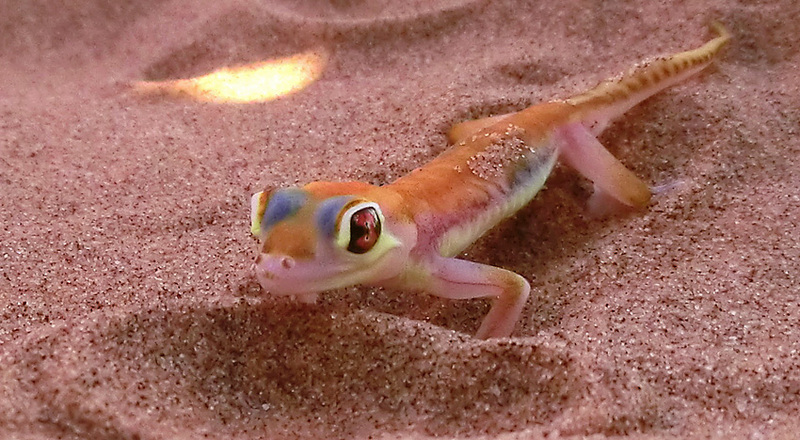 This gecko eats insects. They normally get their need of water from what they eat but can also use their big eyes. The morning fog condenses on the eyes and then they lick it off. This tour was amazing! Who could ever believe that sand dunes can hide so many interesting life forms.